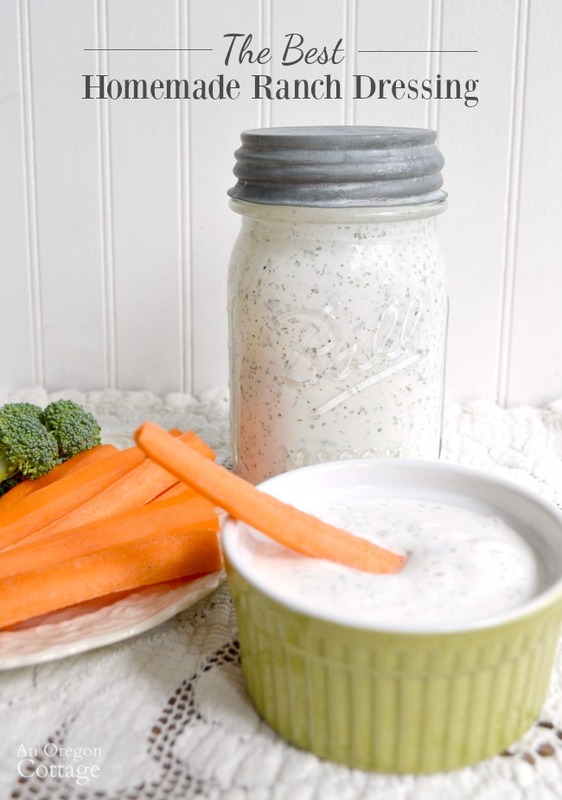 A family tested, kid-approved homemade ranch dressing made with real food ingredients that you mix up in a jar in just minutes. Who needs bottles and packets with something this simple and delicious? 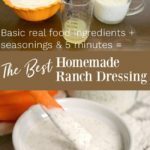 After many years of trying all kinds of recipes for homemade ranch dressing – both dry mixes and the complete dressing – and being disappointed, I finally came up with my own recipe for the best ranch dressing that our whole family likes! I know that next to a basic vinaigrette, ranch salad dressing is probably the other bottle of dressing in most family refrigerators. 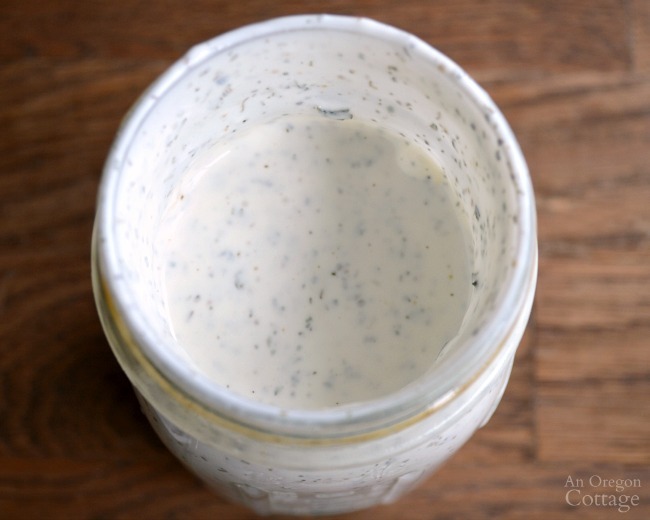 And since we know how easy it is to make your own vinaigrette salad dressing (i.e., “Italian dressing”), and pretty much any dressing, I know you are going to LOVE this easy and flavorful homemade ranch dressing, too. When making all those other recipes I tried, there was always something that just wasn’t “right” about them. There was too much dill. Then I’d find a coupon for a bottle of organic ranch dressing and I’d forget about the homemade for awhile. But even on sale and with a coupon, organic dressings are not cheap. And I knew that ranch dressing is just sour cream (or mayo), buttermilk and some spices. Hardly expensive stuff. 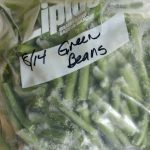 So I went back to my recipes and combined and adapted to come up with something that was simple, tasty, frugal (a batch costs about $1.35), and REAL. And when it passed the taste test with our family’s ranch-aholic son I knew we had a winner! Whew. You can just use a pint jar to mix everything for this dressing, which is what I like to do–it has a wide enough opening and you can mix it up right in the jar. 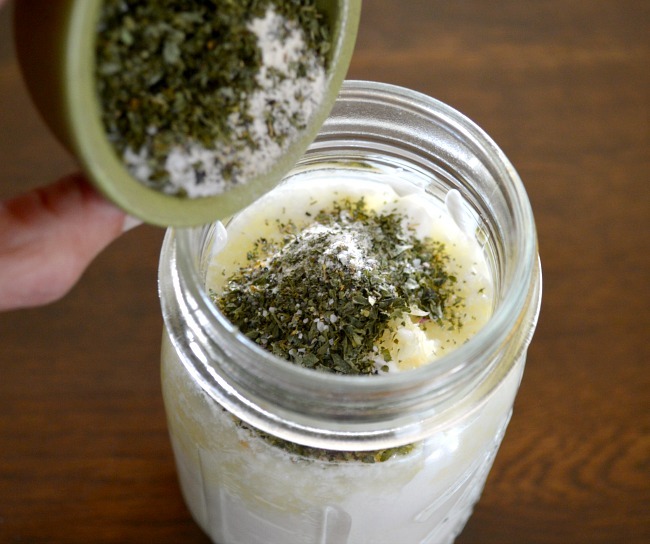 However, if you’d like to keep it in a smaller-mouth dressing container, feel free to use a whisk and mix it up in a quart measuring cup before pouring into your container. Start by mixing sour cream, buttermilk, and lemon juice. Don’t be tempted to skip the lemon juice- I really think it makes it so much fresher tasting (the lemon might seem a bit strong at first, but after the dressing has sits overnight the flavors mingle and it’s no longer as dominate). Real Buttermilk and Sour Cream? A note on buttermilk: few years ago I realized that, for the most part, what they sell in the stores as “buttermilk” is not true buttermilk (the milk extracted during the process of making butter), but a milk with thickeners and often preservatives added to it. Since this is what I’d like to avoid (hello?) 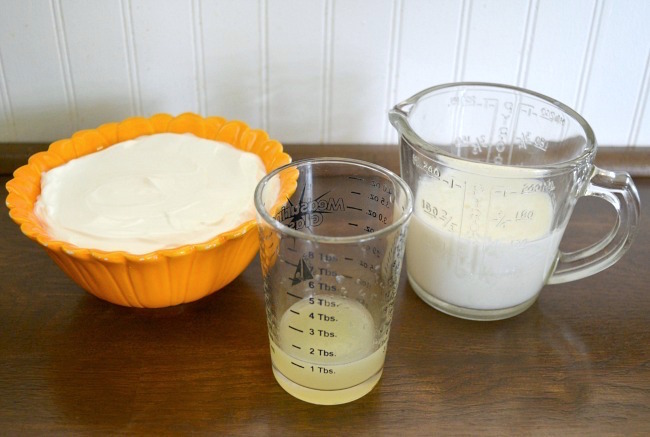 and I don’t have access to real buttermilk, I always make a “faux buttermilk” with vinegar and regular milk (for this recipe, a 1/2 c. milk mixed with 1-1/2 tsp. vinegar). 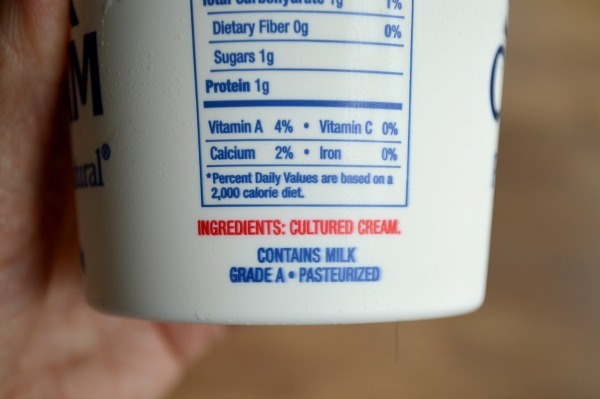 Oh, and another note about the sour cream: check the label! If you don’t make your own, you’ll want to find a sour cream that contains only cream like the one listed above (which is Daisy Brand, by the way). Compare this with the ingredients on most of the other store brands which list at least 10 ingredients including fillers, preservatives, and thickeners. Some ranch recipes call for mayonnaise instead of sour cream. We like sour cream for a couple of reasons: it creates a thicker dressing that works for a dip and with just a little thinning with milk can coat lettuce, we like the flavor better, and it seems a bit ‘lighter’ than oil-based mayo. Plus, since I make my own mayonnaise, we pretty much save it for sandwiches! Once the wet ingredients are mixed, add the garlic and dry spices, and mix well. Um, yeah, that’s pretty much it. Seems silly that I’d ever take the time to buy this stuff- that was like, what- 5 minutes? 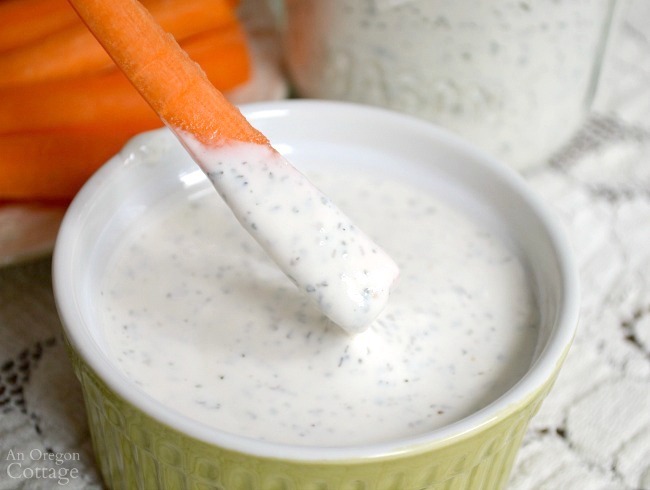 Click the arrow for the printable ranch dressing recipe! Finally found a ranch recipe that tastes great!!!! Really don’t like the mayonnaise flavor in ranch. So Thank you!!!!! Can table salt be used in place of the sea salt. How long can the ranch/ketchup sit in the fridge before it “expires”? Definitely weeks, Elya. It thins a bit, but I’d just add a bit more sour cream and whisk it in. 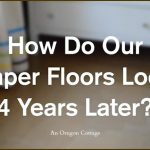 It may last longer, but it’s usually gone by that time at our house! Jami – I’m so excited to find your site. I recently followed a link to this dressing recipe and I’m hooked! I made it with Greek yogurt as I’m trying to eat more raw veggies. The Greek yogurt adds flavor and protein to a whole food that I already love. 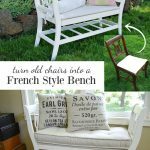 I’m sorry….I can’t seem to find the measurements…..
Click the arrow at the bottom of the page “take me to the recipe” for the printable recipe. 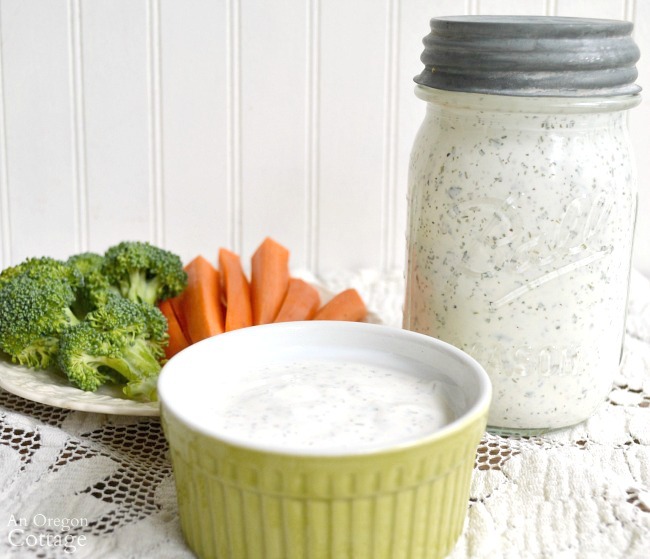 This is the best ranch dressing I have ever tried (I have tried and disliked a lot). Even my husband who is a diehard Hidden Valley Fan said this was so good, he would finally quit buying ranch from the store. We made pasta salad last night and this was the dressing. Amazing. I LOVE it, Emily!! Comments like yours are the reason I do this. 🙂 Thank you for chiming in!! Just made this Ranch dressing. It is the best homemade I have ever made! Thanks for sharing! So glad to hear that, Pam! Loving the glass measuring cup in tablespoons. Where did you get it? Absolutely love feta! Going on vaca will make some stuff up to take along! Wow 1st the ketchup now the ranch dressing! I am Celiac and corn intolerant, I haven’t had ranch dressing in years! Most of the store bought stuff has corn in it! If it doesn’t then it just doesn’t taste very good. I will try this! Yay! Pretty sure you will like it like we do, Wendy and I’m glad you get to try it again (PS, if you like feta, check out my feta dip that used this as it’s base…). This looks fantastic! And so much healthier than the shelf-stable with all the preservatives! Thanks for the recipe! Has anyone tried premixing the dry ingredients? If so how much do you add to a tub of sour cream? I figured one Tablespoon?? I suppose I could just experiment but I figured I’d get some feedback first 🙂 Thanks!! I’ve made this before with fresh garlic and found it too bitey, so this time I will just use powdered garlic. But it is THE BOMB! So good.